In order to activate Save PDF panel, click File, Select Save As [Key Alt+S], select PDF. File Name of PDF file. .u3d Settings All settings related to generating u3d file. 3D content inside PDF file is saved as u3d file. Export Click to generate PDF file. 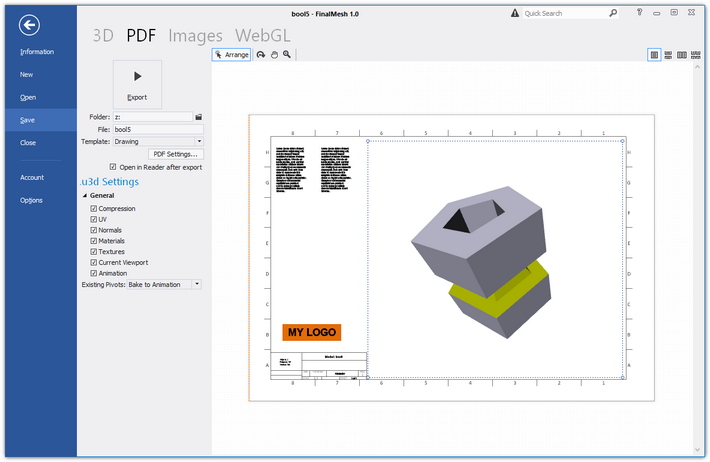 Each Viewport in PDF file may have its own settings: Ligting, Render Mode, Background, Viewpoint. This settings may be defined in template, but it's possible to change them here. 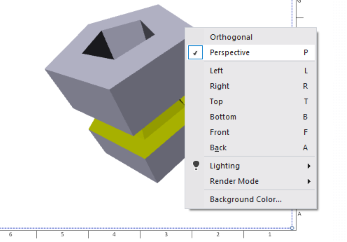 Right click on Viewport, in menu change anything you may need.